Looking to advance your skiing/snowboarding and maybe learn some new tricks and techniques? Great! Below is a list of our best blogs that will teach you how to progress your riding and learn new tricks and techniques. If you’re a snowboarder and newer to freestyle, start with ‘Snowboard Freestyle 101’, it’ll show you how to avoid bad trick tips, as well as give you a general education on freestyle lingo. 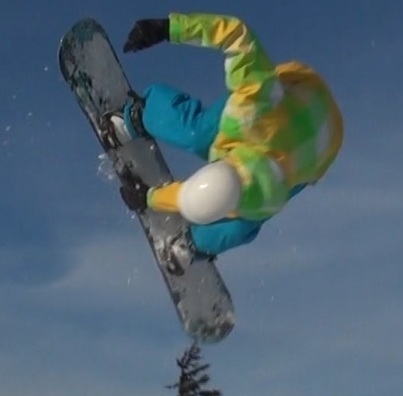 Snowboard Spin Trick Definitions: What Do Names Like Cork & Cab Mean? Snowboard Rail Trick Definitions: Frontside, Backside & Hardway? Snowboard Grab Guide: What Does Each Grab Mean? The Fastest Learners – Want To Learn Snowboard Tricks Quickly? If there’s a guide that you’d like us to add, let me know and I’ll be happy to add it! Good luck and go stomp some tricks!